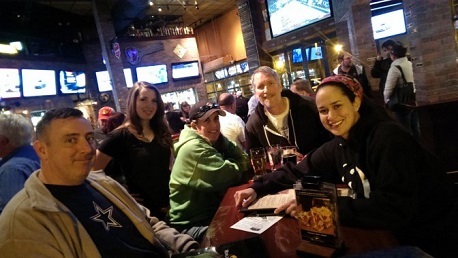 Another great night of trivia, and the return to glory for the Mouseaholics. They were able to demonstrate not only their tremendous trivia knowledge, but also their love for all things The Who in the Musical Bonus. I know it's a late, so let me simply say, congratulations to all our teams and thank you to everyone for coming out. We're going to build some latitude and longitude coordinates. For D - Find the zipcode of Riverview Country Club in PA and multiply that by the jersey number worn by the 1975 NFL Defensive Player of the Year. Once you have your coordinates, plug them into Google maps, switch to satellite view and tell me what color is the vehicle in the roundabout.